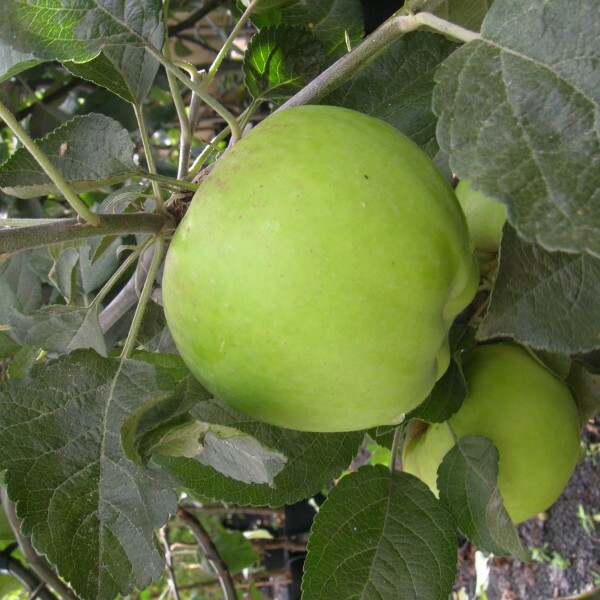 Large flat, round fruit, greenish yellow with slight red flush. 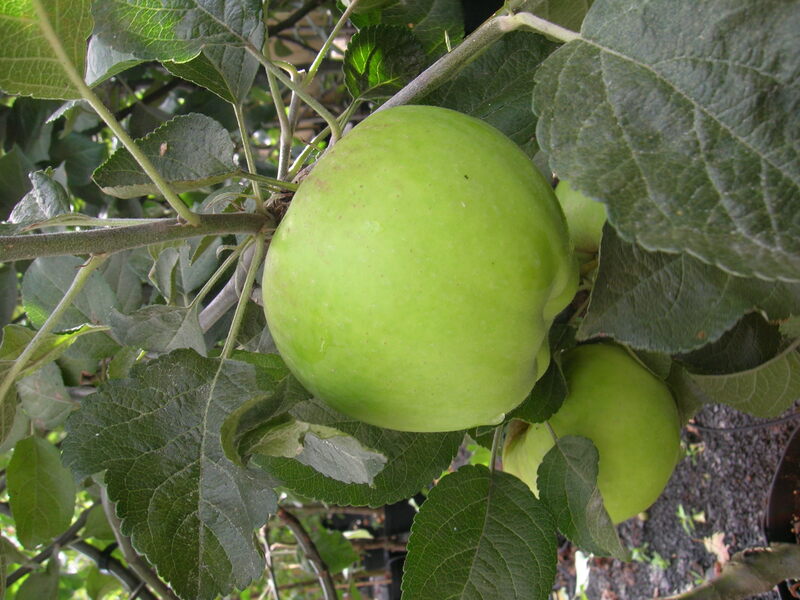 Large flat, round fruit, greenish yellow with slight red flush. 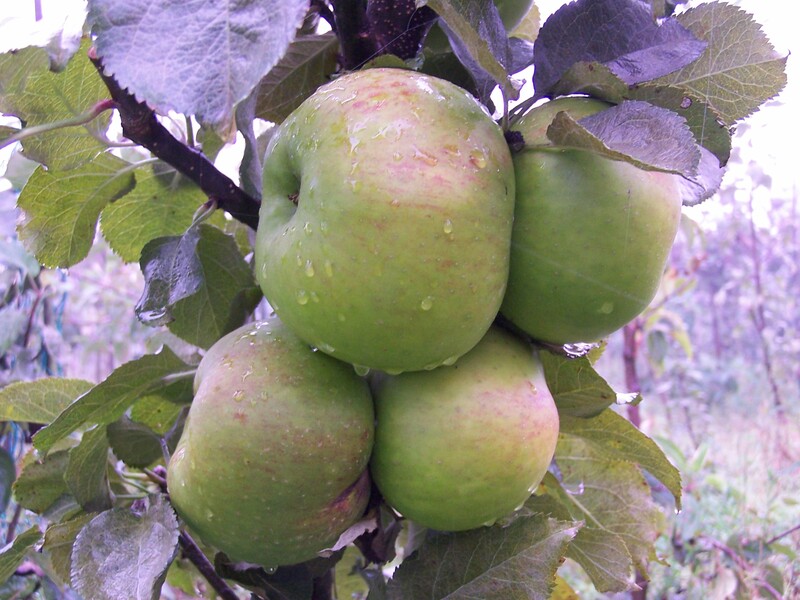 A very vigorous grower with thick, spreading branches. It is not a good pollinator of other apples and, being triploid, it really needs two pollinators to ensure maximum cropping. 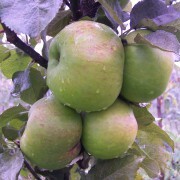 The fruit, a good cooking apple which is very juicy, is ready to pick in October. Fruit is green with a red flush on the sun exposed side.